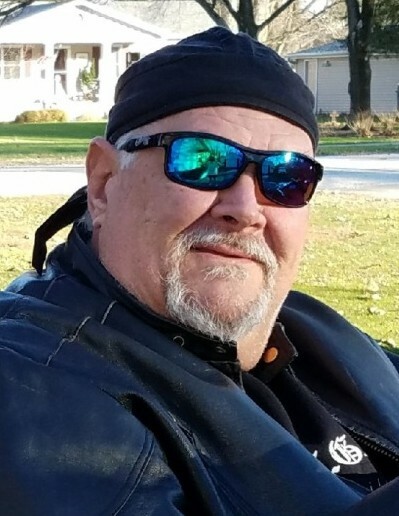 Age 63 of Wilmington and formerly of Braidwood, passed away peacefully at his home on Friday, September 14, 2018. Born December 24, 1954 in Joliet, Gerald Lee is a son of Gerald, Sr. and the late Grace (Buffo) Hatch. He was raised and educated in Braidwood and graduated from Reed-Custer High School with the class of 1972. After graduation,Butch would go on to join the Laborers Local 75 up until retirement in 2015. He was a member of the Area #1 Club and the Moose Lodge in Wilmington, as well as the South Wilmington Fireman’s Club. Butch’s main passion was motorcycles, especially Harley Davidsons. He was a former owner of J.B. Customs Bike Shop in Wilmington and he loved doing detail and pin-stripe work on hot-rods and motorcycles. Butch also enjoyed camping and boating or anything considered a “big boy” toy. His favorite time was always spent with his friends and family, especially the kids. Survivors include his father, Gerald Hatch, Sr.; daughter: Nicole (Tom) Harrah of Kokomo, Indiana; three grandchildren: Rachel, Jonathon and Joshua; his fiancé: Mary Chaney of Wilmington, and her son: Wayne (Teresa) Holligan of Coal City; brother: Louis Hatch of South Wilmington; sister: Francine Palmer of Emington; niece and nephews: Tiffany (Sheldon) Schmidt and Derek (Jessica) Carter both of Georgia, and Nick (Marissa) Palmer of Emington; numerous cousins, as well as countless dear friends. Butch was preceded in death by his mother, Grace on March 5, 2018 and infant son, Shane David Hatch. Per Butch’s wishes, cremation rites have been accorded. Family will receive friends for a memorial visitation and video tribute on Thursday, September 20, 2018 at Baskerville Funeral Home, 700 East Kahler Road in Wilmington from 5:00 p.m. until time of memorial service at 7:00 p.m. In the spirit of Butch’s love for Harleys, guests are encouraged to wear their favorite Harley Davidson gear. In lieu of flowers, memorial contributions may be made as gifts in Butch’s memory to the family for their distribution. Cremation services and memorial arrangements have been made under the direction and care of Baskerville Funeral Home in Wilmington (815) 476-2181.